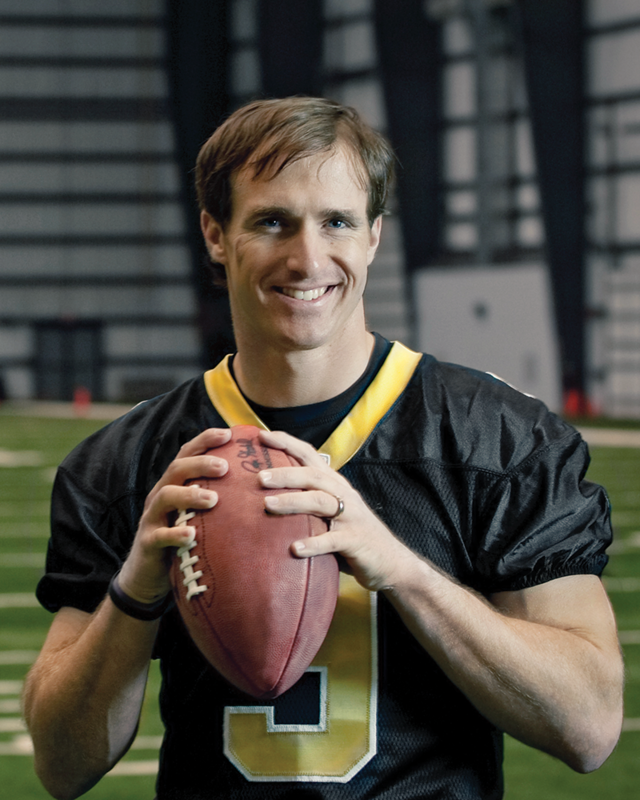 Drew Brees is the 2009 Super Bowl MVP–winning quarterback for the New Orleans Saints. A 2001 graduate of Purdue University, Drew was a two–time Heisman finalist and led the Boilermakers to a Big Ten championship and a Rose Bowl appearance during the 2000 season. In Drew’s five years with the San Diego Chargers and four years with the New Orleans Saints, he has been elected to four Pro Bowls while being named 2004 Comeback Player of the Year, 2006 Walter Payton NFL Man of the Year, and 2008 NFL Offensive Player of the Year. On February 7, 2010, he led the Saints to their first World Championship against the Indianapolis Colts in Super Bowl XLIV, completing a record thirty–two passes on his way to being named Super Bowl MVP.